For gym addicts, working out is more than just a way of staying fit – It’s a lifestyle. However, female fitness enthusiasts with hair extensions often find themselves in a dilemma, as it is widely believed that gym and hair extensions don’t mix well. This couldn’t be further from truth! While exercising with hair extensions can be tricky, it’s perfectly safe to work out with them. With proper care and upkeep, you should be able to wear your hair extensions and enjoy an active lifestyle simultaneously. Follow these tips to gym-proof your hair extensions. Hair extensions vary widely in terms of texture, installation techniques and functionality. Not every type of extension is appropriate for gym. Before having your hair extensions fitted, it is important to do a quick research to choose one that is more compatible with your lifestyle. For regular gym-goers, loc system based hair extensions are the most suitable option. As these extensions are secured to your hair without the use of any heating elements, they are both safe and long lasting. A simple pre-workout care routine can help avoid unnecessary damage to both your natural hair and your hair extensions. To keep tangles to a minimum, brush through your hair and apply a leave-in conditioner. If you like to exercise outdoors, protect your extensions from harmful UV rays with a cap. Ponytails, buns and plaits are your best friends! 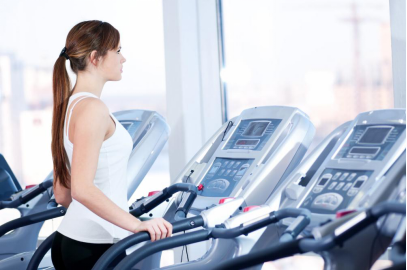 Letting your hair loose is one gym mistake you should avoid at all costs, as loose stands of hair can easily get stuck in gym equipment and lead to injuries. When working out, keep your hair away from your face, neck and back by tying them up in a ponytail or a high up-do. Not only will this minimize the possibility of accidents but it will also allow you to concentrate more on your fitness routine. Post-workout perspiration is natural, but it can have a negative impact on your extensions. While it is typically recommended to wash your hair 2-3 times a week, gym enthusiasts with hair extensions are likely to need more washes to get rid of the accumulated sweat and dirt from the scalp. As exposing your hair extensions to shampoos with harsh chemicals on a regular basis can lead to dryness, it is important to wash them with hair products that are hydrating. Your extensions, much like your natural hair, need regular maintenance and care. If you do not have time to carry out a lengthy post-workout routine, you can always consult a professional hair extension salon for maintenance. Looking for reliable hair extension experts in Houston, TX? Let us be your guide! Hair Extensions of Houston is a full-service, high-end hair salon, offering hair extensions installation, maintenance, coloring and other hair care services. For high-quality, natural looking hair extensions, schedule an appointment today by calling us at 832-717-3626.